This Ramadan happens to fall right in the middle of summer. In order to help you make the most of it, we’ve prepared a list of 30 things you can do with your family. 1.Play Ramadan trivia! Come up with fun questions and find out who knows the most about the holy month. 2. Donate to charities or buy an iftar sa’im voucher that will provide iftar for one person all through Ramadan. 3. Keep your kids busy by assigning chores like helping out in the kitchen and cleaning up their closets. 4. 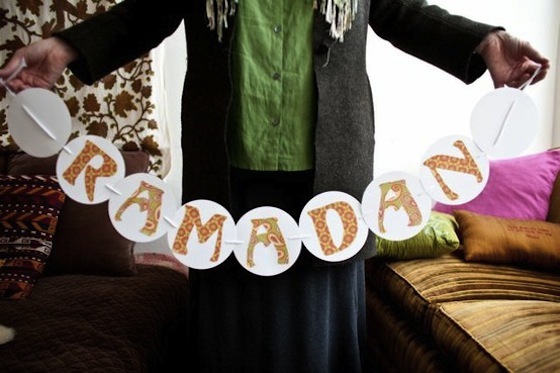 Celebrate Ramadan by decorating your house with lanterns, lights and banners kids can make. 5. If you’re having a big iftar party, set up an arts and crafts table for the kids. They can decorate lanterns or play with leftover samboosa dough. 6. Create a traditional platter with dates, dried fruits, nuts and dips. You can even include an Arabic coffee set! Wrap it neatly and you’ll have a nice gift ready for any Ramadan invitation. 7.Gather your family and go visit a local charity or a children’s hospital. 8. Watch your favorite Ramadan series, but don’t watch too much TV. Pick one or two and watch the rest on reruns later. 9. Distribute food, water, or 10 SR calling cards to the workers toiling in the heat. 10. Give everyone in the kitchen a day off! Take the family out for iftar at a “Ramadan Tent” set up in hotels and restaurants. 11. Gather the kids for stories about the prophets or Ramadan traditions in different countries. 12. Have a “screen-free” night. Switch off all electronics and play cards or Carrom together instead. 13. Call family and friends you haven’t seen in a while, schedule a catch-up session. 14. 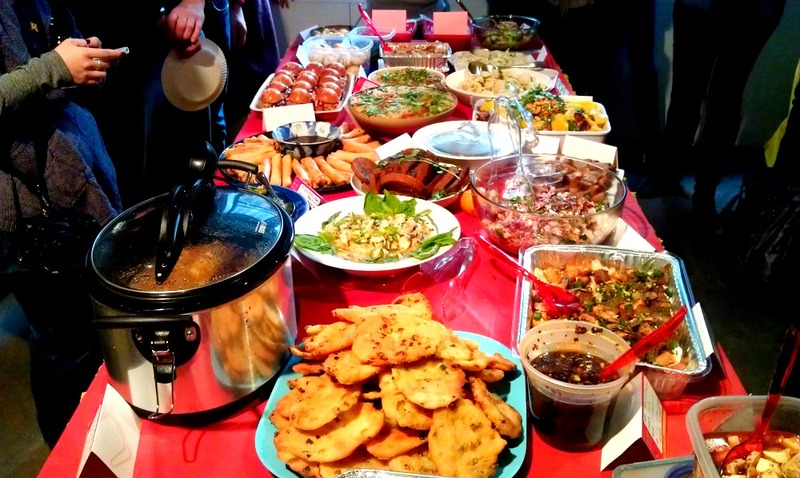 Host a “potluck” iftar where each guest can bring a dish. That way you can enjoy the company minus the stress. 15. Join a gym. Many are open late and offer night classes. 16. Organize a movie night and watch an Islamic documentary. 17. Prepare iftar boxes with the kids and give them away to workers or at your local mosque. 18. 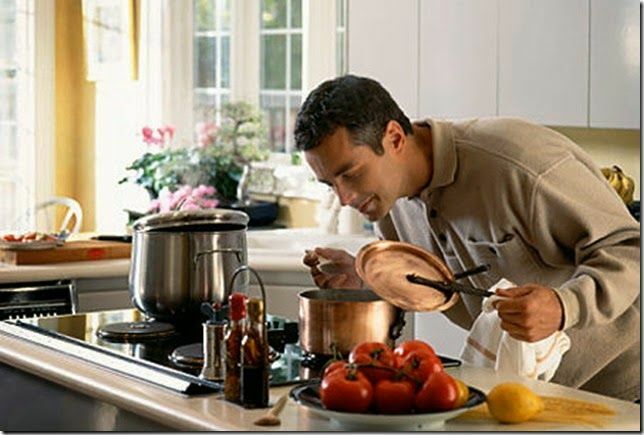 Have a “switch night” in which the men prepare iftar for a change! 19. Get creative with henna. Kids can trace patterns using washable markers. 20. Go shopping downtown at old traditional malls like Bat-ha, Swegah, or Owais and Taiba. 21. Invite your non-Muslim friends and neighbors for iftar. Encourage them to ask about your culture and fasting. 22. Encourage and help children learn some Ramadan prayers. 23. Visit the planetarium at the King Fahad Cultural Center and watch the moon and stars. 24. Make a gratitude jar. Have every member of the household list the things they are thankful for on small pieces of paper, then pick one every night and read it out to the rest of the family. 26. 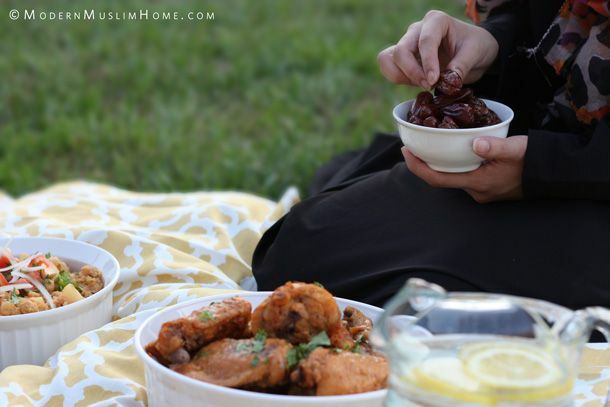 Have an iftar picnic at a nearby park or in the desert. 27. Learn the 99 names of Allah with the family. 28. 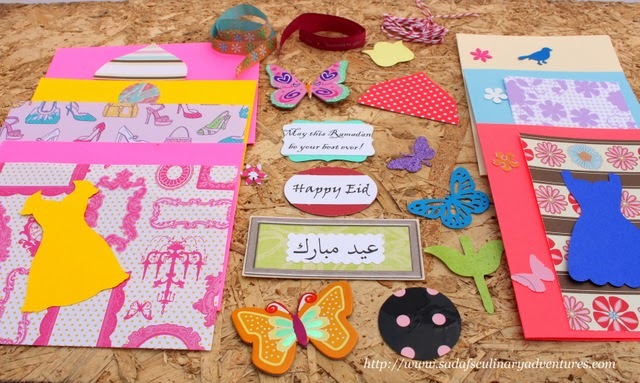 Ask your children to decorate and color Eid greeting cards/envelopes and fill gift bags with treats to give out in Eid. 29. Plan a special Eid day “treasure hunt.” Plant clues around the house that leads to fun prizes. 30. Visit old Riyadh, Dereyah and take a stroll down the capital’s history. Don’t miss out on the baleela and Eid sweets shopping!